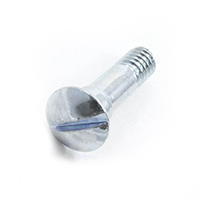 These round-head machine screws are used for hinges in awning frames. 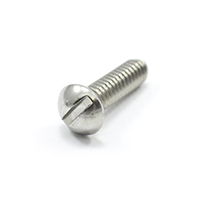 The machine screws feature slotted heads and are available in plated and stainless steel. This makes them highly durable, corrosion resistant, and easy to install. While ideal for awning use, these screws can be used in other general-purpose applications as well.